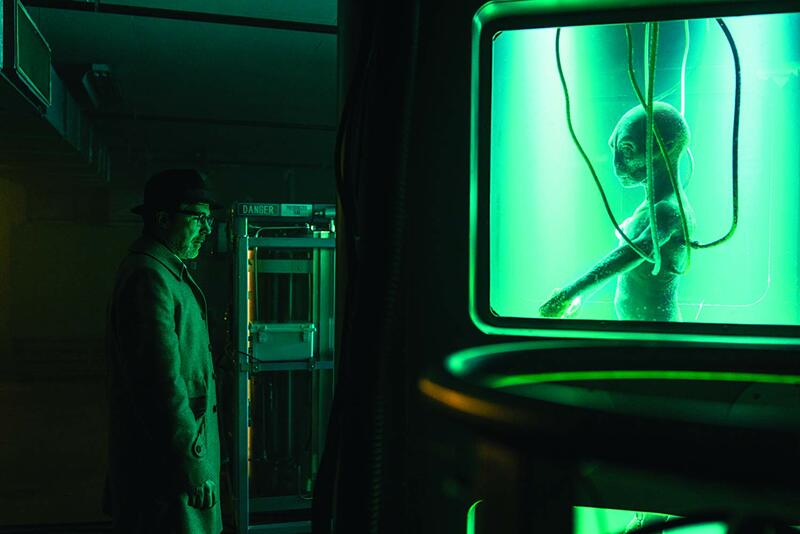 Each episode of History Channel's 'Project Blue Book' is based on one true event, and although fictionalized, these episodes help bring out some of the most controversial affairs in the history of the US Air Force. Starring Aidan Gillen as Dr. J Allen Hynek, Michael Malarkey as Captain Michael Quinn, Laura Mennell as Mimi Hynek, Ksenia Solo as Susie Miller, and Neal McDonough as General James Harding, the show follows Hynek's plight as he is called on board by the US Air Force to look into the reports of the multiple UFO sightings that were being reported across the US in the early 1950s'. "For the government to continue to maintain that UFOs are nonexistent...is an insult to the American people." -Dr. J Allen Hynek, the inspiration for #AidanGillen's character on #ProjectBlueBook, Tuesdays at 10/9c on @History. Like the previous episodes, Episode 6 is also based on a true incident. Titled 'The Green Fireballs', the episode follows the multiple sightings of “flying green lights” in New Mexico in 1948. According to a 1949 report published by The Observer, the "will o' the wisps" were generally seen sometime during 2 a.m. but the report also mentions that the local officials had denied the sightings completely. "A call to El Paso, Tex., brought official denial from D. K. Brown, head of the Federal Bureau of Investigation district that embraces Los Alamos, that his agency had not been called to deal with the matter. At the information or thought-control office officials indicated that they knew about the recurring green flame in the sky but indicated that it wouldn't be wise to write about it." The fact that the authorities completely turned their backs to what the general public had to say about the sightings is what concerns the theme of Episode 6. As always we certainly have Hynek and Quinn standing on two opposite sides when it comes to the sightings, but that is always not a choice for Quinn. Being a man in the Air Force, he is compelled to abide by the orders. Although deep down he wants to believe in Hynek's work, he is bound by the authorities to only stick to answers which are easily available. However, that is not the case with Hynek. He has the option to take things in his own hand and once he gets the opportunity he does so without inhibitions. Episode 6 will see Hynek breaking out of the shackles of the Air Force as he is driven by passion and virtue to find out the truth. To Hynek, the green lights that are seen flying in the sky are not just any astronomical phenomenon that could be explained with a simple theory. It is a hypothesis that Hynek wants to settle for a fact. What will make the episode an even more enthralling watch is the fact that Hynek is now drawing from himself, and gradually denying all orders by the authorities. Whether Hynek will be able to remain true to his case can only be found out, once the episode airs on February 12.